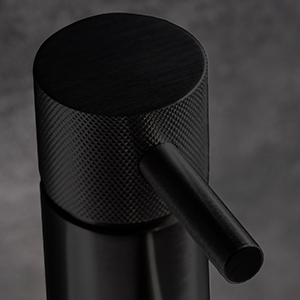 Two new finishes join the MPRO collection, Brushed Brass and Matt Black alongside the introduction of a stunning knurled detail, creating a bathroom that is as beautifully crafted as it is designed. 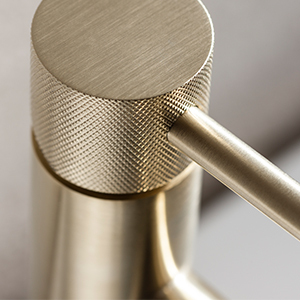 All four exquisite finishes are offered across the entire MPRO collection, including a complete set of coordinating accessories. The finest components and materials ensure that MPRO delivers on flow performance, and as importantly safety and water efficiency, with WRAS and TMV2 certification. 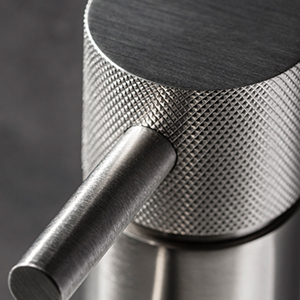 A stunning display of artisan metal craft, MPRO’s knurled detailing is expertly machined to create this highly decorative accent. 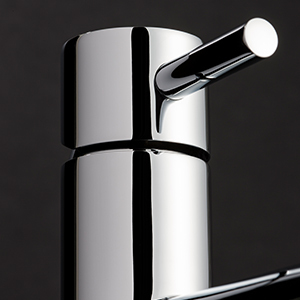 The tactile surface is available on the basin monobloc tap, and is presented across all four stunning finishes.